Come join and hang out with us. Everybody is waiting for you. First one is free... so are the rest. Daily. 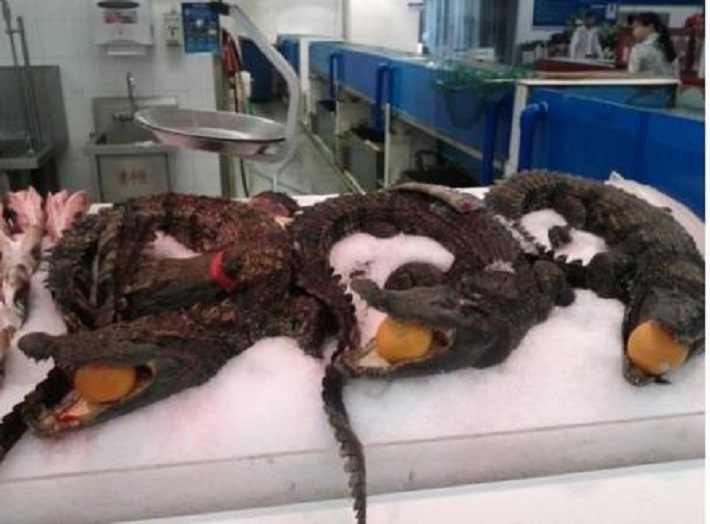 In China you can buy whole crocodiles and sharks in the specialty sections of your local Walmart. The Chinese think that crocodile meat heals asthma and shark meat helps the internal parts of body. Usually they are decorated with apples and oranges. Need I say more about the popularity of these items among the locals? Sharks and crocodiles are comparatively expensive. There are lots of dishes in Chinese cuisine that are prepared using ingredients that we may consider unusual. If you visit China and decide to buy a whole crocodile, check twice to be sure it’s dead. Did you remember to share this with your friends? See 30 Coolest Selfies in History! Our Facebook is like a moonwalk for Michael Jackson: you couldn't get the full impression of 'Billie Jean' without these gliding steps.